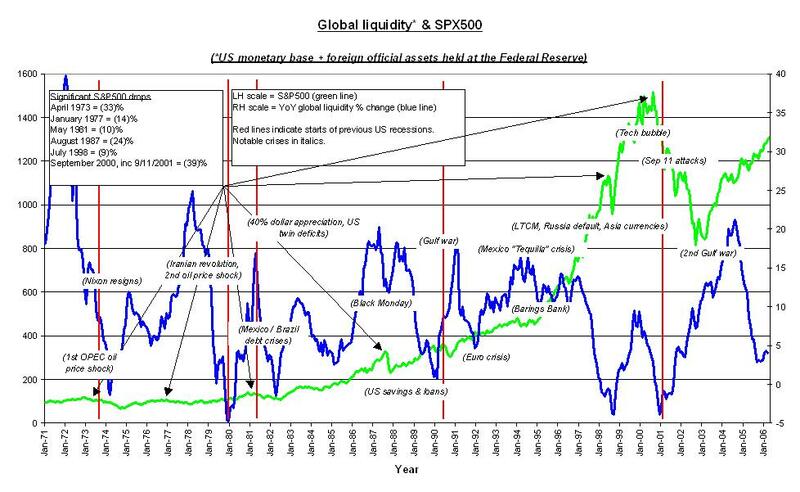 Global Macro:Equity Markets Crunched by Deteriorating Liquidity? As much of the financial press gnashes its teeth - or reports gnashing of teeth - over recent equity action, market liquidity finds itself the centre of attention. 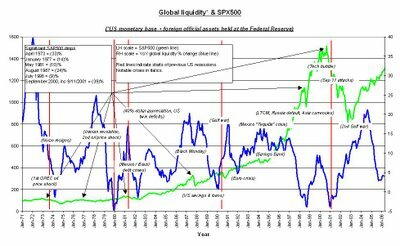 The argument is not new: rising rates sucking excess cash out of stocks, coupled with energy inflation and dollar devaluation, spells disaster. One UK daily, The Telegraph, yesterday quoted Lombard Street Research as saying the US is heading into recession, China a hard landing and that "an impending financial crisis" has become more probable (than last week, it seems). 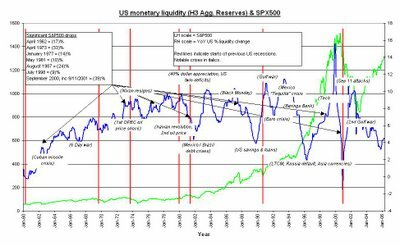 As a related aside, backing out the "global" element of liquidity as in Exhibit 2, reveals a loose proxy for what the Fed has done to interest rates in response to economic events. Contrasting the graphs reveals the difficulty the Fed sometimes faces weighing domestic economic needs against the demands of an economically inter-linked global system. The prescription for one will not always suit the other - as in the actual dollar situation. 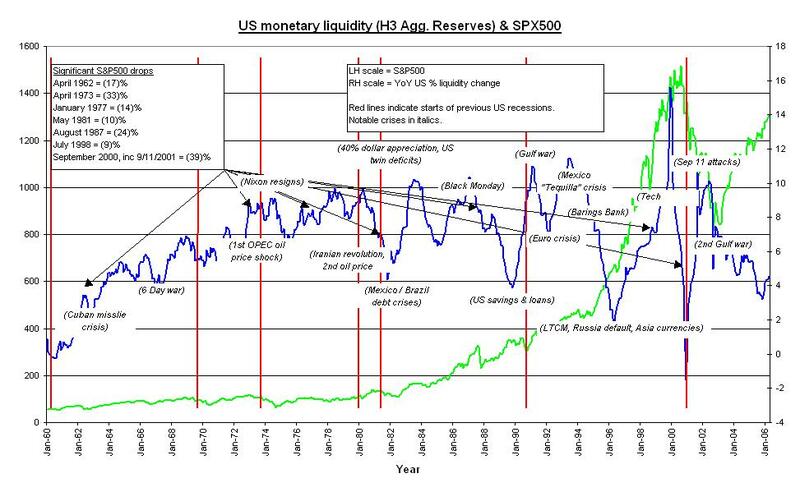 What is clear is that asset prices, in absolute historic terms, remain expensive even as the Fed raises rates. This is driven, perhaps, by investors who insist on using relative valuation methods whilst drawing comfort from a still, despite its imbalances, robust US economy. That continues to keep the equity market deroulement in the wings for now - and its public waiting. UK Equities: Sanctuary lose a CEO - should iSoft?